The first ever co-ordinated count by land, sea and air of seals in the Thames Estuary has found more than 700, of which 500 are harbour (or common) seals, the rest Atlantic greys. Several were recorded upriver, the furthest inland at Hampton Court Palace. 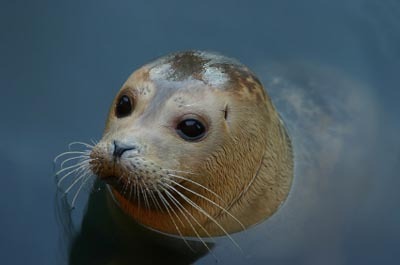 Only harbour seals breed in the Thames Estuary. Their pups can swim within hours of being born, which means they’re better adapted to estuaries, where many sandbanks are only available for whelping at low tide. ‘It’s likely that grey seals migrate to the Thames Estuary outside their breeding season from further up the east coast,’ comments Mr Mowat. The timing of the survey coincides with the annual moult, when harbour seals shuffle onto sandbanks to shed their coat.